Once you arrive at Goa, head to your resort by a Non-A/c coach. 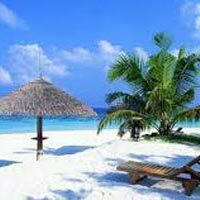 Enjoy a memorable sightseeing tour at North Goa by a non A/c coach. Take in the quaint beauty of Old goa with a sightseeing tour of South Goa today. Sightseeing will be conducted in a non-A/c coach. Depart in a non-A/c coach as per the schedule with happy memories.